The tabloids are right – Philly’s own Amber Rose was the worst guest Andy Cohen had the displeasure of interviewing on “Watch What Happens Live!,” Bravo’s late-night talk show. “She just didn’t want to answer any of my shady questions,” he said. Cohen and longtime pal Anderson Cooper will be at the Borgata in Atlantic City on May 5 for “An Intimate Evening,” featuring both TV personalities. The night is being plugged as an “unscripted, uncensored and unforgettable night of conversation,” where both men will interview each other. Cohen promises it will be more like “a night out drinking with us,” and devoid of politics. It was a blundered blind date more than two decades ago that brought the two together in the first place. Thanks to that going awry, a friendship blossomed instead, and they’ve been going strong as a television and public appearance pair ever since. “We were set up on a blind date initially that we never ended up going on, and then we just became friends and we wound up – we had the same kind of circle of friends, and we started traveling together and then we wound up getting a lot closer as ‘Watch What Happens Live!' started,” said Cohen. Cohen had a career in TV and radio before he spearheaded the “Housewives” franchise, and was head of development at Bravo for a decade before that. He said it was when he and others at Bravo recognized the success of “Desperate Housewives” on ABC in the mid-2000s that that’s when he pitched his idea to the network for a reality version of the show. “The Real Housewives of Orange County” premiered on March 21, 2006 and rose in popularity amongst females under 35. This month, the show was renewed for a 13th season. “We crafted it into this kind of reality-docu-soap that took off from there,” he told PhillyVoice. Asked if he had a favorite Housewife – or even a least favorite – the answer was clear. Cohen has seen plenty behind the scenes as executive producer of the “Real Housewives” franchise, but he said he would never agree to be on a reality TV show himself. 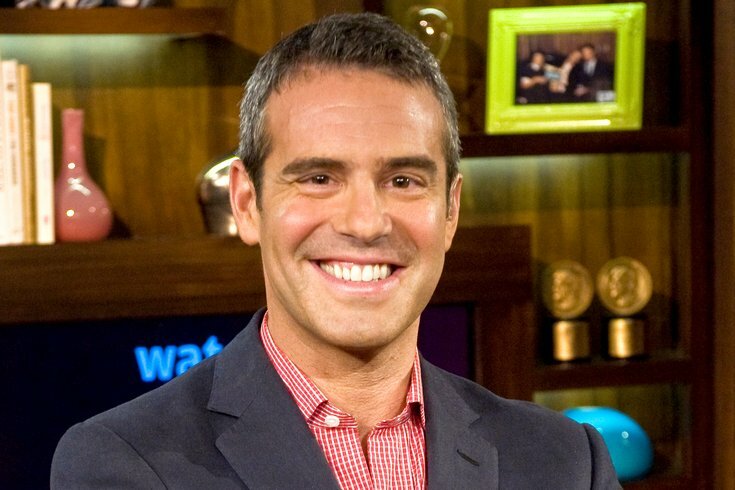 “I think the two diaries that I’ve written [The Andy Cohen Diaries: A Deep Look at a Shallow Year and Superficial: More Adventures from the Andy Cohen Diaries] are the closest I will come to being on a reality show,” he said. Although Cohen described Kanye West’s ex as his worst guest, he said that what makes for a great guest on his show is someone who is "open, honest and wants to have fun." Andy Cohen and Anderson Cooper during one of their chats. In October of last year, CNN announced that Cohen would replace Kathy Griffin as co-host of its Times Square New Year’s Eve program alongside Cooper. This came in the aftermath of the fallout between the network and the comedian over President Donald Trump's bloody head photo scandal. Cohen wouldn’t say if he thought this new arrangement was any better for the network, but he did tip his hat to Griffin – who he said, along with Cooper – made CNN’s New Year’s Eve coverage something to look forward to each year. “I haven’t had any interaction with [Griffin] – she’s been kind of badmouthing me all over the place,” he said. 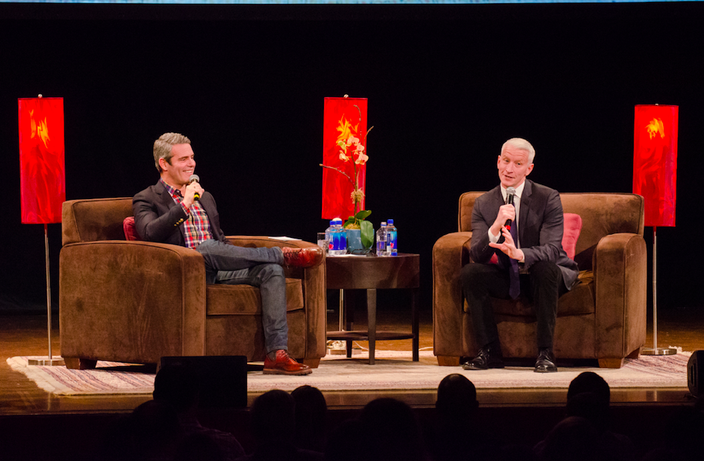 For more information on An Intimate Evening with Anderson Cooper and Andy Cohen in Atlantic City, click here.